Duck Dynasty Day for children is coming, March 23. 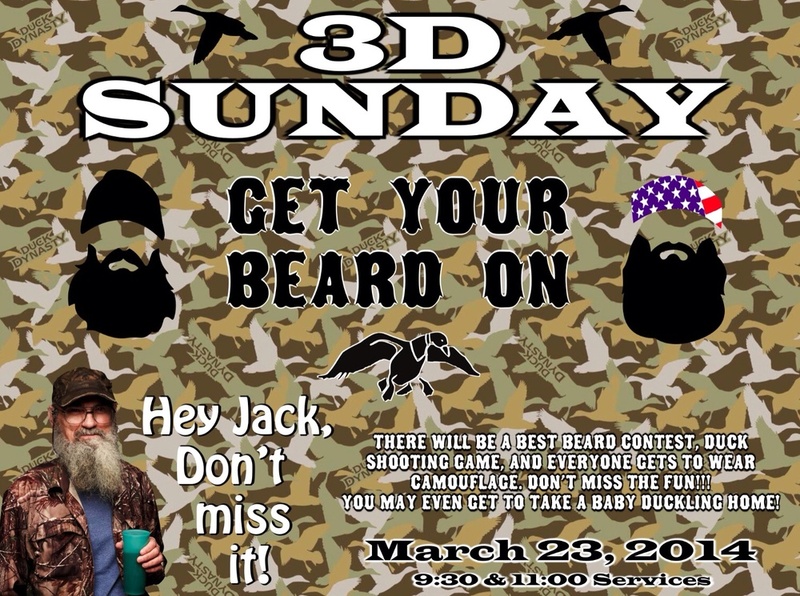 Kids are encouraged to wear camo gear and long beards to church. Get ready for one rowdy red neck fun time in Kid's Church! Sorry, no shot guns allowed!